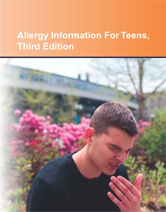 Allergy Information for Teens, Third Edition provides updated information about a wide variety of allergic reactions, including common symptoms, diagnostic tools, and prevention strategies. It recounts what is currently known about the causes of allergies and the role the immune system plays in their development. Chapter 4—Cold, Flu, Or Allergy?